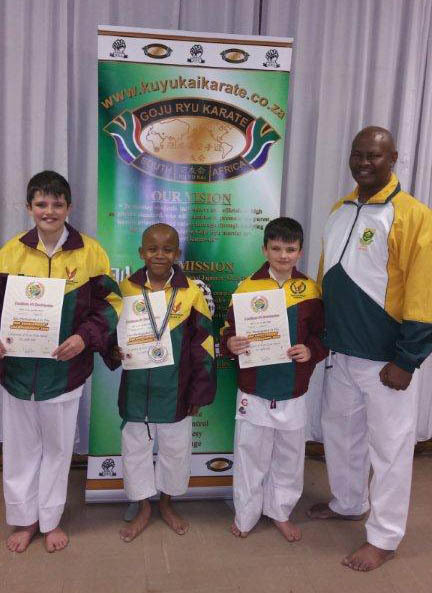 On photo: L-R: Jarrod Harty, Tshegofatso Seloka (Gold Kata- Boys Development (7 - 9 years), Troy Harty and Shihan Humphrey Skosana - Instructor. 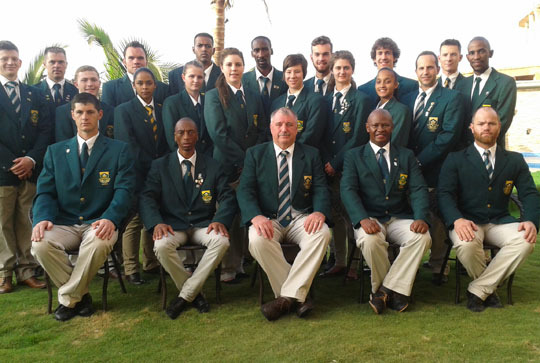 37 members of the Goju Ryu Karate-do Kuyu-Kai, South Africa participated at the South African All Goju Karate Championships, which was held at the famous Portuguese Hall, Turfontein in Johannesburg. 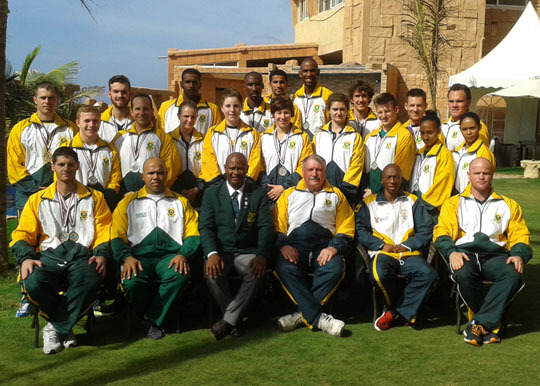 The Championships was hosted by the International Shorei Martial Arts Academy under the Legendary Shihan Arnold De Beer – 7th Dan. 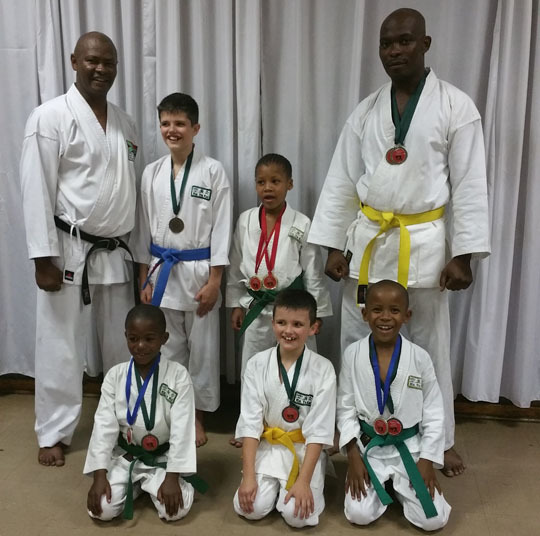 The championship was well attended and the standard of karate was very high by various Goju Ryu Karate Styles such as Okinawan Goju Ryu, Seiwa-Kai, Goshu-Kan, Goju-Kai, Kuyu-Kai and other organisation. Old friends and instructors met each other after many years of not seeing each other, old memories were shared and new friendship was established, such as a legendary the father and founder of Goju Ryu Karate in the previously disadvantage communities in South Africa in the early 1970’s Shihan Cecil Mokoena (6th Dan – Kuyu-Kai) and Honorary Members of Goju Ryu Kuyu-Kai Karate South Africa from Soweto. 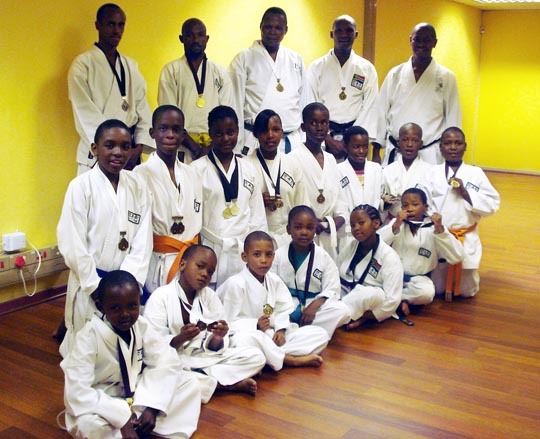 All instructors share the same vision to promote and develop Goju Ryu Karate.